Maryland council recommends replacement of wifi in schools due to health risks to children. Council acknowledges that US lags behind many other countries with regard to taking such protective measures. The same applies to BC and Canada. Wifi is in just about every school in BC without any studies that show this is safe. Neither are parents or teachers given information showing the risk to health because Perry Kendall says it’s okay to expose children to wifi all day every school day. A pioneering elementary school district outside Chicago has been sued for installing a wireless computer network by parents worried that exposure to the network’s radio waves could harm their children. The Oak Park Elementary School District set up a wireless network to connect its schools to one another in 1995, long before such networks became wildly popular. A spokeswoman for the district, Gail Crantz, said it complies with all government regulations for wireless networks. Today, the 5,000 students in the district have access to carts of laptop computers to do research on the Internet from their desks, said Steve Chowanski, director of information services for the district. An estimated 30 million Wi-Fi networks have been installed worldwide, according to the Wi-Fi Alliance, which certifies wireless products. Brian Grimm, a spokesman for the group, said he is unaware of other similar suits targeting Wi-Fi networks. According to Chowanski, a small group of parents had complained about the risks of installing wireless networks in the school. In response, the school board said it would continue to monitor research into the safety of the networks but reaffirmed its plan to use Wi-Fi. The complaint by the parents was filed Sept. 26 in the Circuit Court of Cook County in Illinois. A hearing before Judge Nancy Arnold is scheduled for February. The parents allege that the district failed to examine the impact the networks could have on growing children’s health. They are seeking class-action status for their suit, which seeks to halt the use of wireless networks. Calls to the parents and their lawyers were not immediately returned. The Wi-Fi Alliance says Wi-Fi networks are safe. The radio waves in a Wi-Fi network use the same frequency as wireless home phones, and have one-thirtieth the power of cordless phones, said Grimm, the spokesman for the group. This Math teacher states WiFi in classrooms is worse than a cell tower and has measurements to prove it. Be sure to watch the ending where a Board members efforts to ask a question is thwarted by the Chair! 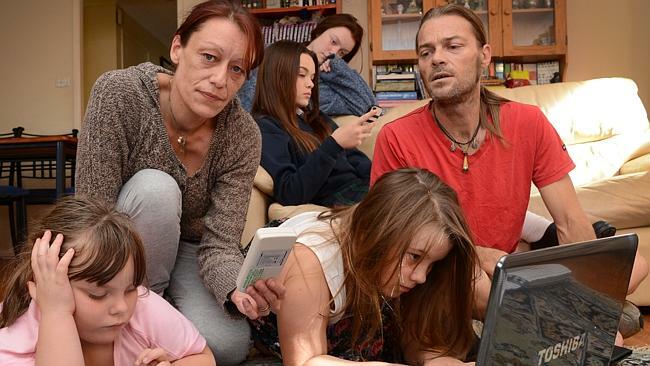 Parents Danielle and Oliver have taken children Nikkia, five, Georgia eight and Brianna 15 out of school because they are worried about the possible harmful effects of Wi-Fi. Ellanay, 16, is still attending. A FAMILY have taken their children out of school because they believe the Wi-Fi networks are making them ill.
Parents Oliver Spencer and Danielle Sykes-Spencer from Hornsby Heights removed their youngest three children from classes two weeks ago, and are looking into options for them to be educated at home. They said extensive research they’ve done suggests the illnesses their children suffer, including depression, anxiety, headaches and hormonal problems, have been caused by industrial electromagnetic networks or Wi-Fi, which many schools now have. The Spencers said the fact that the World Health Organisation (WHO) classified such networks as “possibly carcinogenic” means children should not be exposed to them at school. The World Health Organization (WHO) headquarters building in Geneva, Switzerland, which has classified Wi-Fi as “possibly” carcinogenic. Mr Spencer said: “We started doing a little bit of research that had the biological effects and the limits and the ranges, and everything the kids were suffering was on the list. “In other countries they are taking the Wi-Fi out. In France they’ve banned it in nurseries and they’re advising it in primary schools. Germany’s going back to hard wiring I believe. Hornsby North pupils Georgia, 8, and Nikkita, 5, as well as Bianna, 14, who was at Asquith Girls, have stopped going to classes, while eldest daughter Ellanah, 16, is still at Ku-rin-gai Arts High. Georgia has complained of popping sensations in her head and headaches, while Nikki was showing hormonal changes. Mrs Sykes-Spencer said she felt guilty her children were missing out. A spokesman for the NSW Department of Education and Communities said they continue to monitor research findings in relation to the health risk posed by wireless networks. Senior research fellow in epidemiology at Monash University, Geza Benke, who has researched the impact of mobile phone use on children, said it was too soon to say whether Wi-Fi had harmful health effects. “At this stage I don’t think there is sufficient information out there to say Wi-Fi is any problem at all,” he said. The Spencer family have bought a monitor to measure electromagnetic levels such as Wi-Fi and mobile phone masts. However, there have been other claims Wi-Fi in educational establishments causes illnesses. Dr Marie-Therese Gibson, who served for 19 years as principal of the Tangara School for Girls at Cherrybrook, resigned in 2013 due to health problems she blames on Wi-Fi installed three years ago, according to reports. A Sydney University physics lecturer, Dr James McCaughan, also quit his job after Wi-Fi exposure from smart phones in the lecture room “shut me down’’, it was reported. Decades of accumulated research show wireless radiation damages neurological, immune, and reproductive systems in addition to increasing cancer risk. Professor Olle Johansson, Karolinksa Institute, Stockholm Sweeden, has stated that wireless radiation exposure studies have indicated irreversible sterility within five generations. As this damage is cumulative, the longer the radiation exposure, the greater the health impact over time. NACST is an organization dedicated to raising awareness of the health impacts of wireless radiation on children. They are calling for schools to use wired Internet only. 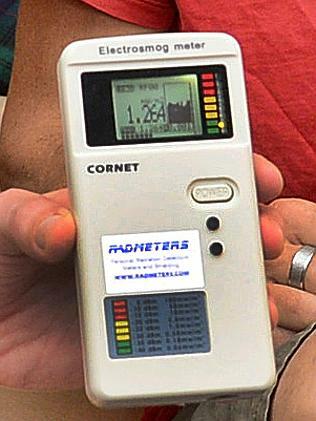 Their website details both the accumulated research showing wireless radiations acute as well as long term health impacts. Schools and school boards in Canada and the USA are doing everything they can to prevent information about the dangers of Wi-Fi in schools from reaching parents. They refuse to allow presentations in schools, flyers being handed out, or information in newsletters. An excellent resource for those bringing the issue of WiFi before PACs and schoolboards. Many thanks. A great tool for those of us fighting to protect our children! Thank you for creating this website. I will pass this on to teachers, parents and staff in my district. Wi-Fi is not necessary. Our children’s good health is non-negotiable. Pingback: Wi-Fi in Schools: Is it Safe?